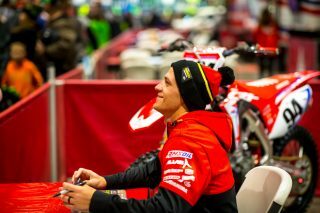 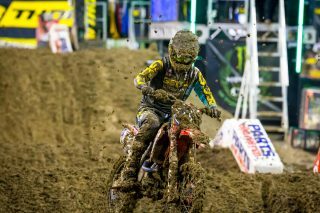 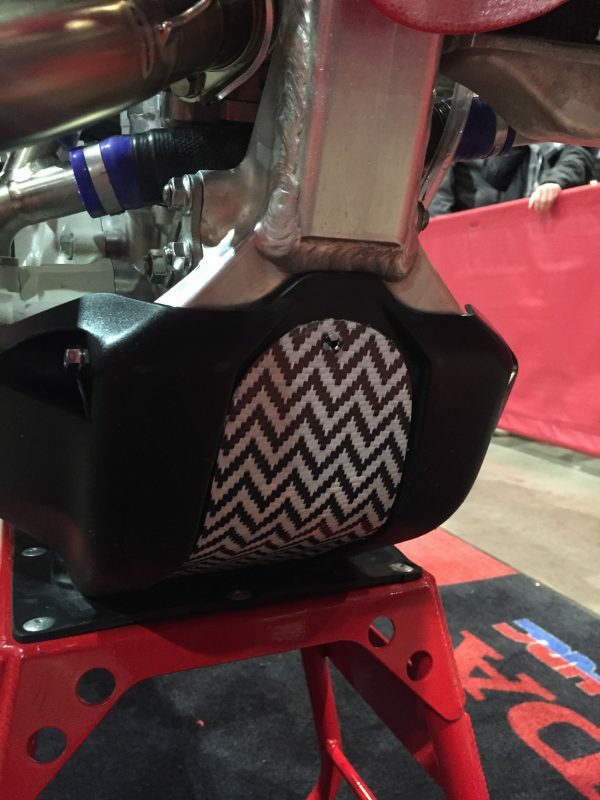 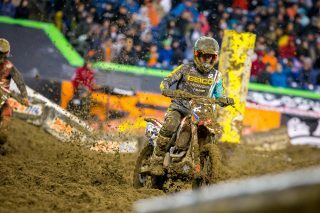 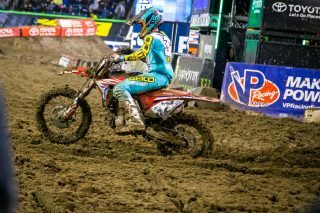 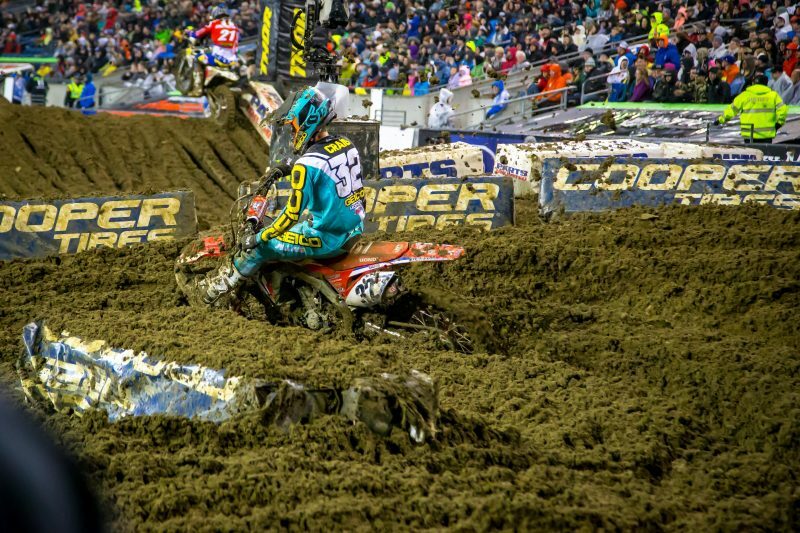 Following a weekend off, the AMA Supercross series returned to action with round 13 in Seattle, where rain throughout the day and evening created extremely difficult conditions, making for a challenging event for Team Honda HRC. 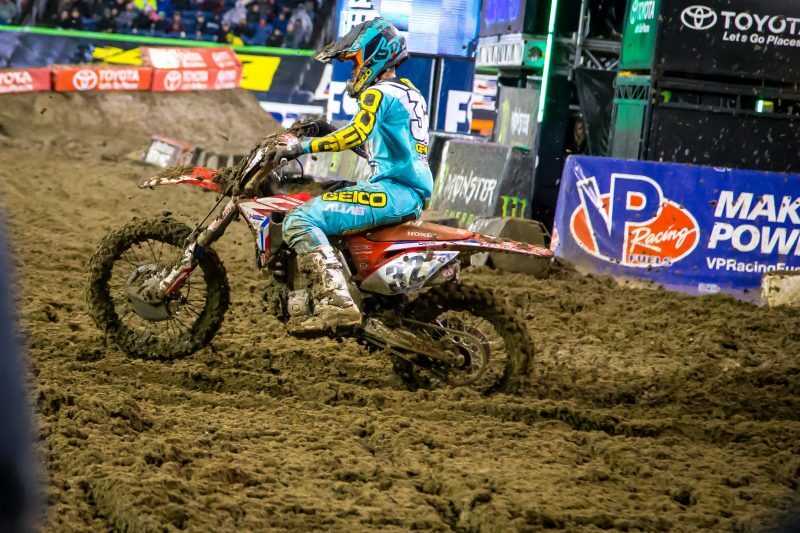 After making several mistakes in the beginning of the shortened 12-minute-plus-one-lap main event, Christian Craig was able to navigate his way around the treacherous track to climb to 11th by the checkered flag. 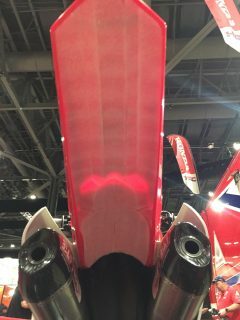 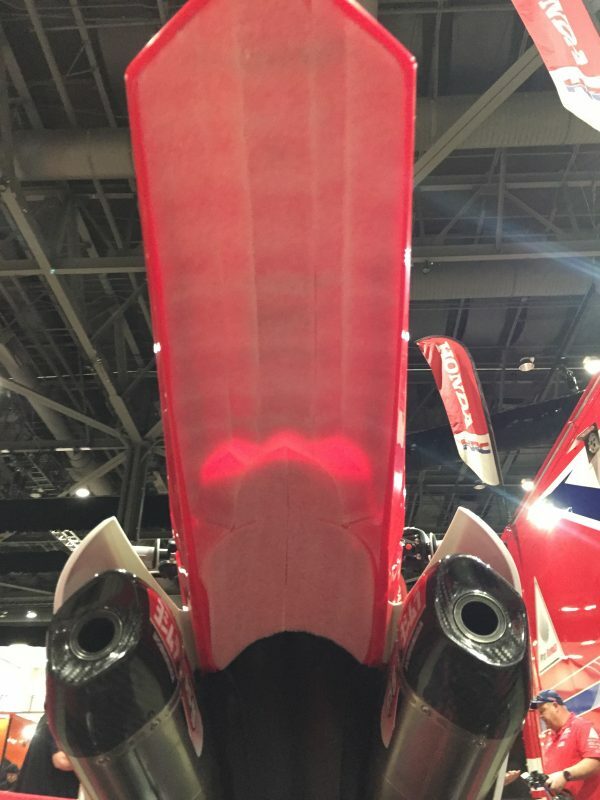 For the first time this season, rainy weather leading up to the race and on race day caused the promoters to revise the schedule, canceling the day’s free-practice session and first timed practice session, which left riders with only one opportunity to qualify into the evening program. 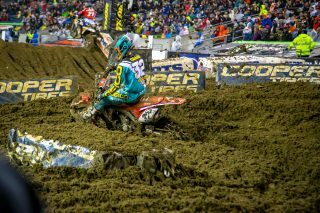 Despite tough conditions, Christian Craig stayed consistent throughout the session and set the seventh-quickest time of 1’18.197”. 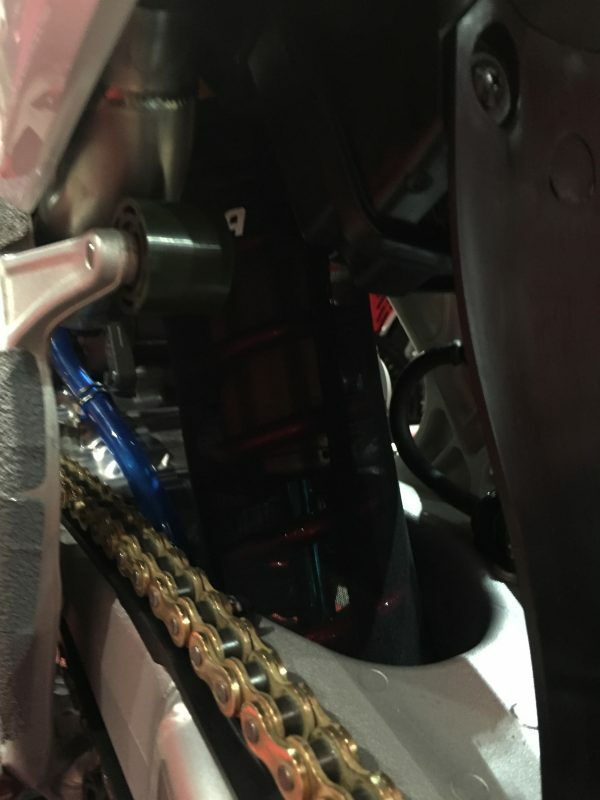 Mud presents challenges for not only the riders, but their mechanics as well, as they spend considerable time preparing the race machines for the difficult conditions. To get the No. 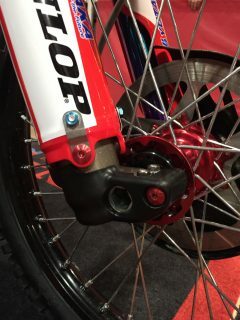 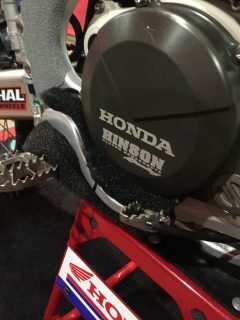 32 CRF450R ready, Rich Simmons added thin foam under both the front and rear fenders, inserted foam under the rear-brake pedal, installed mesh Twin Air radiator covers, and mounted a solid skid plate, while Showa put a sleeve on the rear shock and “ski covers” on the bottoms of the fork legs. 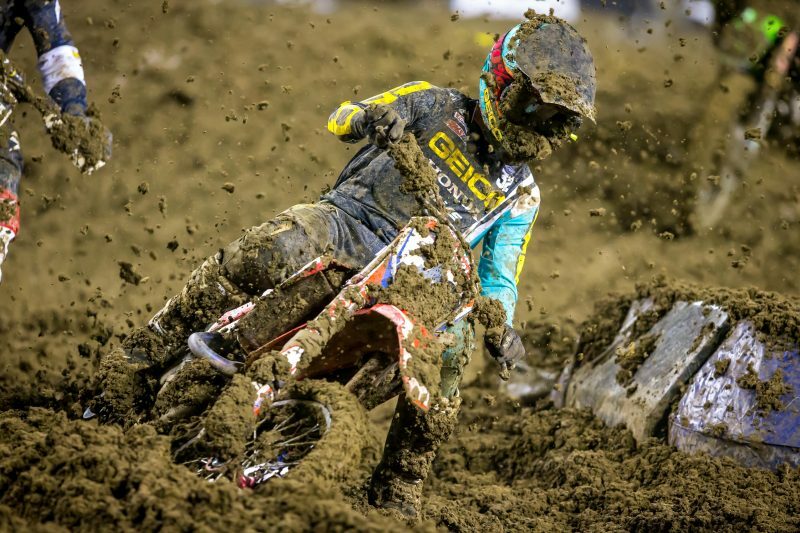 “The ultimate goal is to try and keep as little mud as possible from packing onto the bike,” Simmons explained. The night started on a difficult note for Craig, as he suffered a poor start in his heat race and then went down in the thick mud. 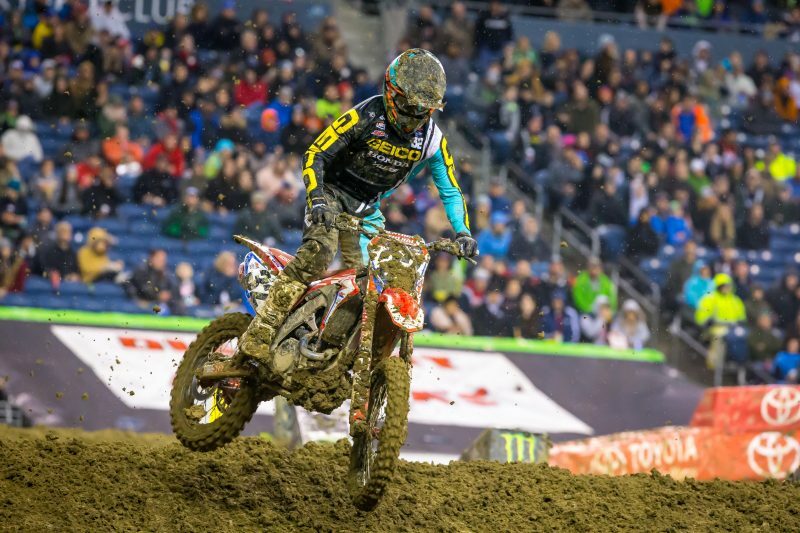 He was working his way forward when his abused clutch went out, forced him to retire from the race and instead transfer into the main event via the last chance qualifier. 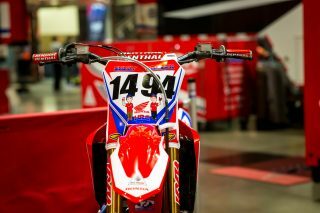 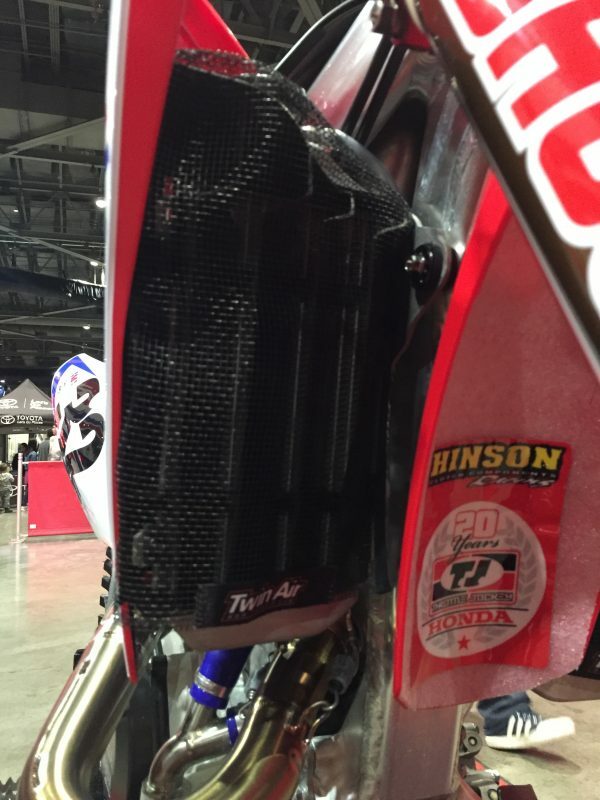 This coming weekend, Team Honda HRC will head east to campaign round 14 of the AMA Supercross series, in Minneapolis. 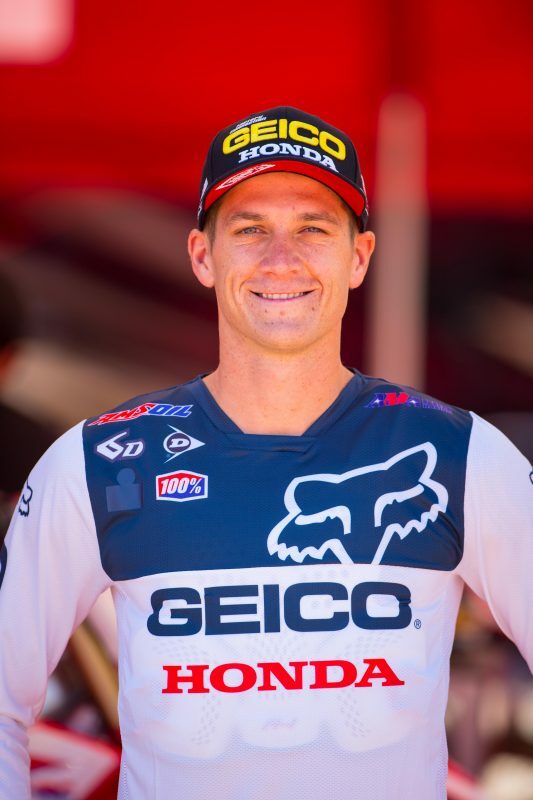 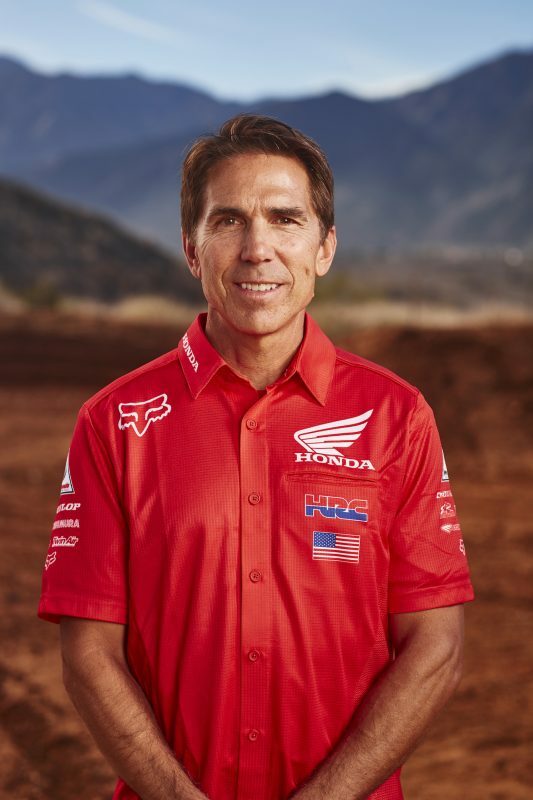 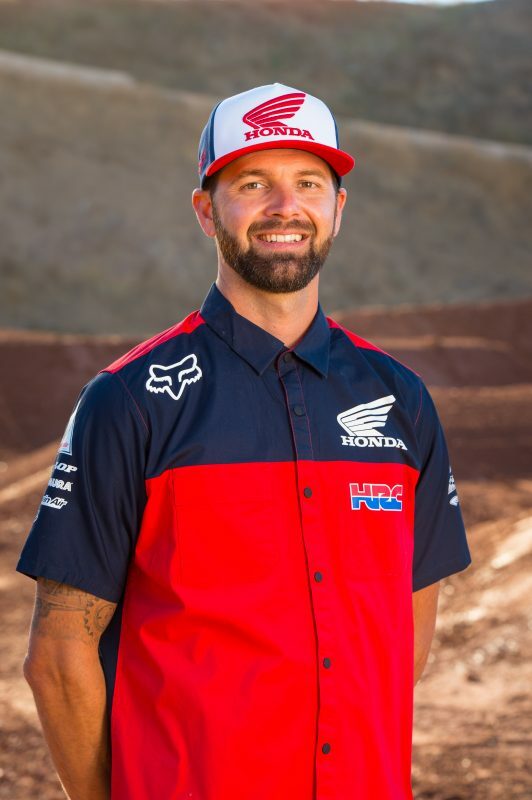 The evening before the race, Craig and Smartop/Bullfrog Spa/MotoConcepts Honda’s Justin Brayton and Vince Friese will make an appearance at Cities Edge Motorsports starting at 6 p.m.